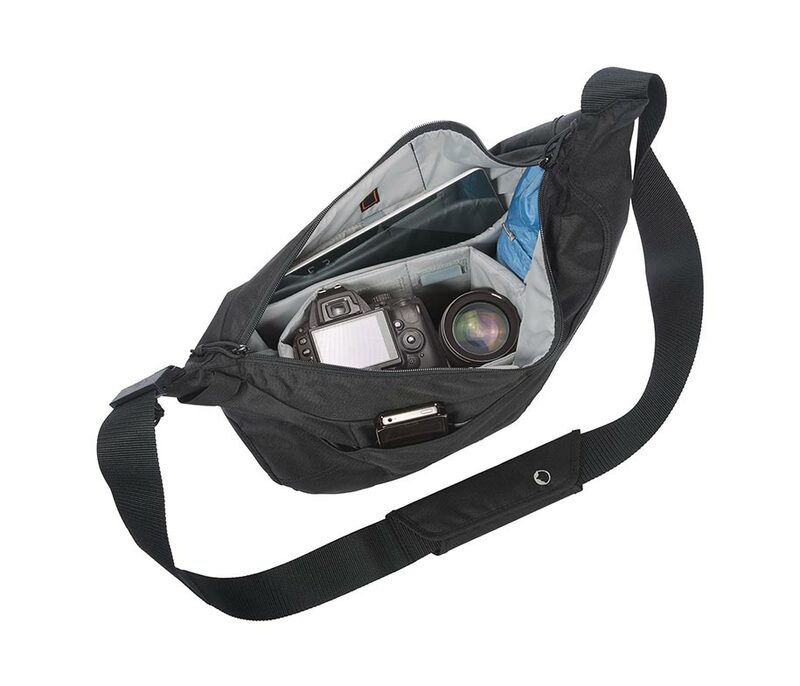 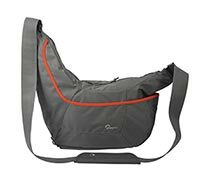 The grey Passport Sling III from Lowepro holds a DSLR or a mirrorless camera, an attached lens, and an additional lens or flash inside a protective, removable camera insert within the main compartment. You can also store your tablet inside a CradleFit tablet compartment on one interior side. For holding additional photo or travel items, the Sling III features an expandable front compartment that increases the storage capacity up to thirty percent.